Does HURST hydraulic fluid contain any polychlorinated biphenyls (PCB's)? How often should I perform maintenance on my tools? You may refer to the guidelines that are listed in your owners' manual. We have recommended Daily, After Use, 6 months and annual inspection requirements. The maintenance guidelines will differ for each product. My tool operates in reverse. What should I do? Inspect your inlet hoses on your tool. The hose with the Female connector will always be pressure in, this location is stamped with the letter "P". The hose with the male connector will always be the return hose. The letter "T" will be stamped for this location. My tools directional control valve will not return to neutral when I release the thumb control. What should I do? Take your tool out of service immediately! Call your local authorized HURST Dealer for repair. My tools seem to have no power. What should I do? 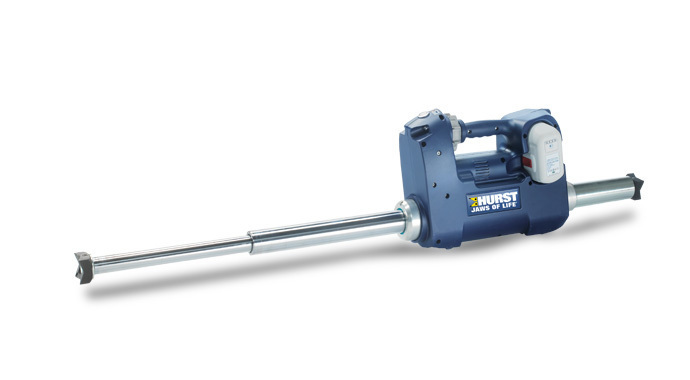 Contact your local authorized HURST distributor for a system pressure check. The dealer list is shown on this website. What procedure is recommended for disconnecting a tool when making a tool change? Best practice is to disconnect the pressure hose first, then the return hose. 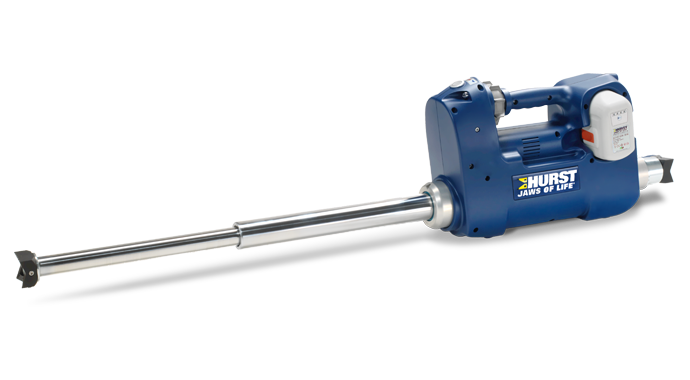 What type of hydraulic fluid is used in the HURST 5000 PSI system? eDRAULIC is a technology developed for rescue equipment, based on the principle of electro-hydraulics, where electrical energy is converted into hydraulic force. 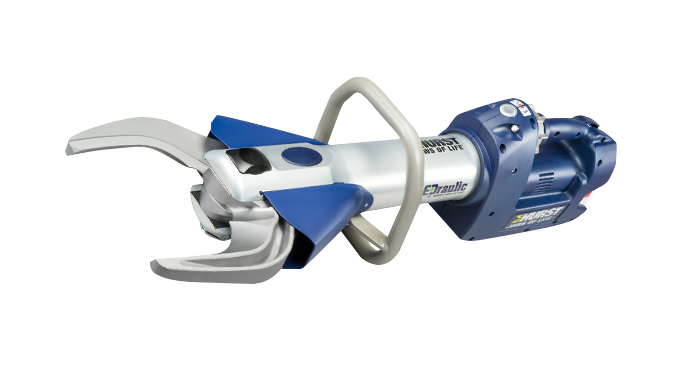 eDRAULIC makes it possible to operate high-performance cutters, spreaders and rescue cylinders using electrical power – with full hydraulic force! Power units, hoses and hose reels are no longer needed. 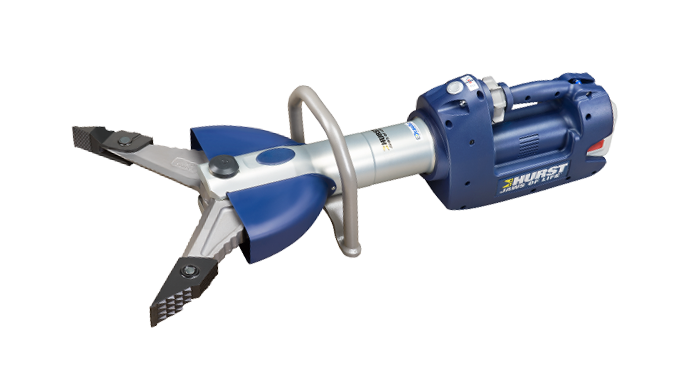 Do eDRAULIC tools have just as much, or even more, force as hose-connected equipment? 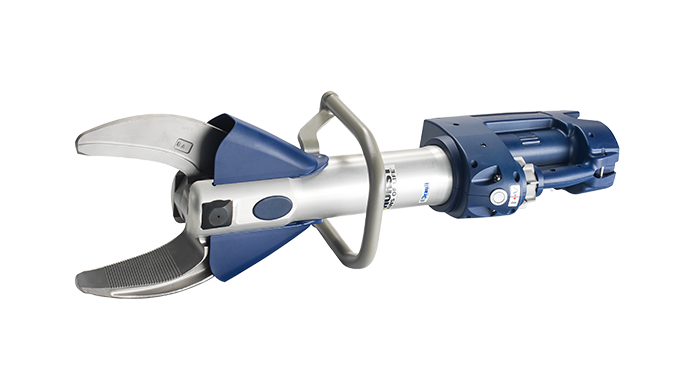 eDRAULIC tools have the same force as the corresponding hose-connected tools – our products work on 700, 750 and 800 bar. The increased pressure leads to higher forces – and reduces weight – on the S311 E2 Cutter and the SP310 E2 Spreader. How do eDRAULICs make my rescue deployment faster? eDRAULIC tools speed up your deployment because you are ready for action immediately. Just turn on and away you go. eDRAULIC allows you to start to work on the vehicle immediately, where previously you would need to connect hoses and power units. How much space will be made available on my vehicle if I decide to use eDRAULIC tools? 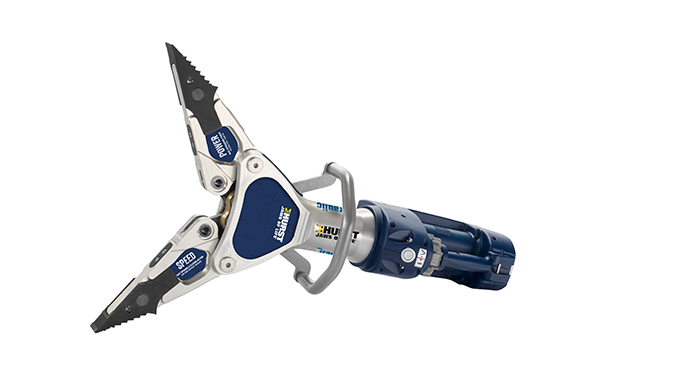 eDRAULIC means that each rescue tool has its own built-in operating system. You will therefore save the space taken up by a conventional hydraulic power unit, hoses and hose reels. This is space you can put to good use for other lifesaving tools. What advantages are provided by eDRAULIC during night-time deployment? Powerful LEDs on the eDRAULIC casing provide direct illumination of the working area. The power-saving LEDs are powered directly by the main power supply. The power supply unit and batteries can be replaced easily and rapidly thanks to the illuminated battery compartment. What are the operational temperature ranges the tools have been tested to? 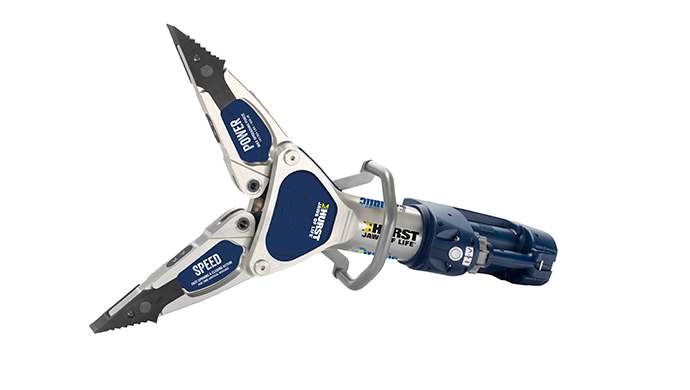 Are eDRAULIC tools quieter than traditional hydraulic tools? Yes. The DBA rating is 79.1 at full load 1M away. 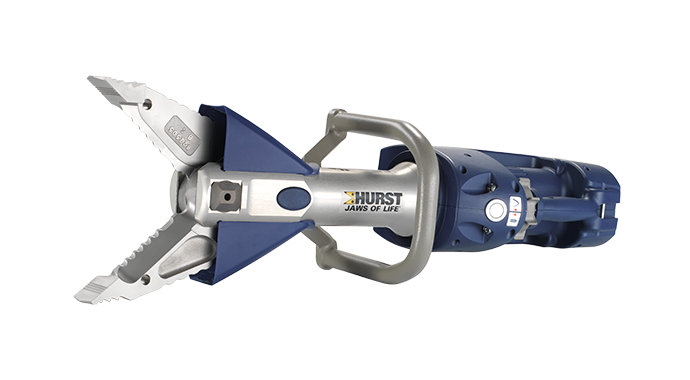 Why does HURST offer both a power supply unit as well as batteries for eDRAULIC tools? The power supply unit permits unlimited continuous operation from any 110V or 220V outlet. You therefore don't need to worry that the gas will run out, unlike in a conventional hydraulic power unit, or that the batteries will be drained after an unexpectedly long period of use. Which prerequisites do I need on my vehicle to be able to use eDRAULIC tools? The power supply unit is designed so that any normal 110V or 220V outlet can be used for operating the eDRAULIC tools. How long can I work with a single battery charge? The powerful lithium ion battery provides a working time of approximately 60 minutes under normal deployment conditions - even with heavy-duty rescues. In general, this is completely adequate to release persons from at least one vehicle. Full-load battery running time (at a constant 700 bar) is six (6) minutes. However, the tools are often only used for a few seconds under full load, which gives an actual deployment time of about 60 minutes. How many batteries do you recommend? For maximum mobility we recommend carrying two batteries for each rescue tool. This will give you a deployment time of around 120 minutes. 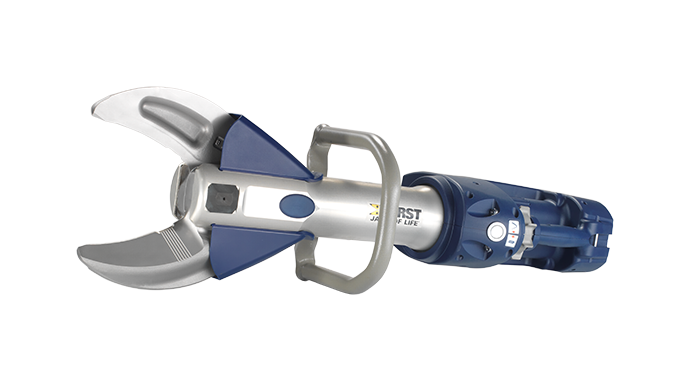 If you have more than one eDRAULIC tool in use, you can take the battery out of a rescue tool no longer required and insert it into the tool being used at the time. For unlimited use, we recommend either the power supply unit that we offer, or an adequate number of batteries. Can the batteries be switched from one eDRAULIC tool to the other? All eDRAULIC tools use the same power supply units and batteries allowing them to be swapped during deployment. Does the eDRAULIC battery need to be discharged fully before charging to prevent the Memory Effect? No. In contrast with earlier battery technology, the lithium ion batteries in the eDRAULIC range can be partially charged at any time. This will reduce neither the performance nor the service life of the battery. What is the service life of a battery? The high-quality lithium ion batteries in the eDRAULIC range have a service life of about 500 charging cycles. Part-charging only counts as a partial cycle. This means that the service life is considerably greater than with previous battery technologies. Are eDRAULIC batteries always ready for use? Once the eDRAULIC batteries have been charged they remain ready for use for a period of many months, even at temperatures down to -20 °C. Lithium ion batteries have a very low self-discharge rate of 8% in the first month, and then just 2% for each following month. The Sleep Mode that was evident in previous generations of Li-ion batteries is not present in the eDRAULIC batteries. Owing to the high energy density, it takes approx. 120 minutes to charge the batteries to 90%. After approximately 150 minutes the battery is fully charged. Are eDRAULIC batteries commercially available? No. 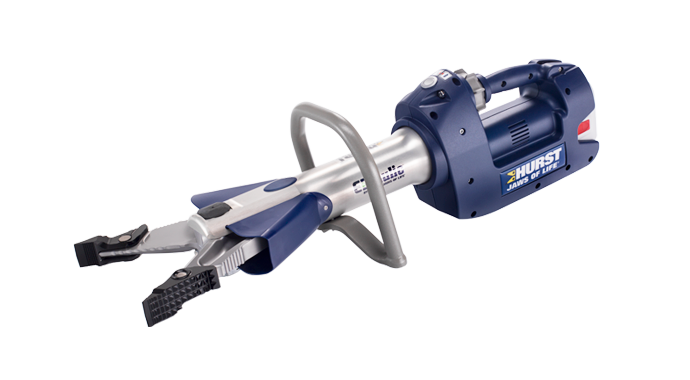 eDRAULIC batteries will need to be purchased from your authorized HURST Jaws of Life distributor. eDRAULIC batteries are a proprietary battery that communicates with the tool to provide a longer run time and lengthens the overall life of the battery. The overall life of the battery is approximately twice as long as a standard LI battery as you are not pulling a full AMP draw down on it every time you utilize it. 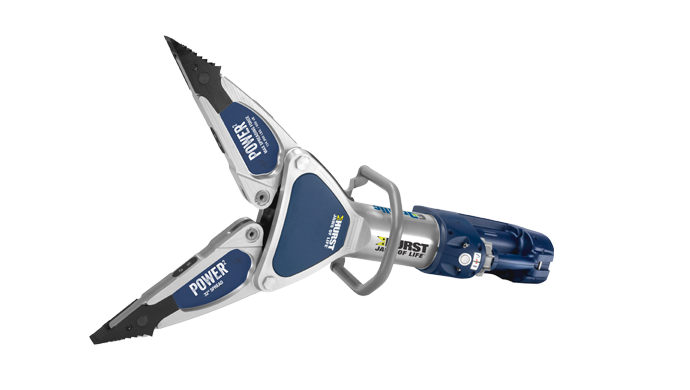 Can eDRAULIC batteries and power supply units be used in the LKE 55 combi-tool? No. eDRAULIC batteries cannot be used in the LKE 55 for technical reasons. On the other hand, the eDRAULIC power supply unit can be used on the LKE 55. What do I need to do to dispose of the batteries? Worn-out or damaged batteries must not be disposed of in the general household waste, but should be disposed of properly at battery collection locations (e.g. local council). Can my eDRAULICs be used in the rain? Yes. eDRAULIC's are designed and tested to IP-54 rating. 5 = Liquid Ingress Protection, no harmful effects from water jets from any direction. Is there anything special in the maintenance of eDRAULIC tools? eDRAULIC tools are particularly low-maintenance because of the closed electro-hydraulic system, in combination with high quality hydraulic oil. Details of the maintenance can be located in the operation manual.